From very early on in the show, Westworld promised us violent delights with violent ends. The season 1 finale of Westworld, The Bicameral Mind certainly delivered on the latter half of that promise. As for the former? That probably has a lot to do with what your expectations for the show were going into it and how interested you were in this concept really expanding for several more seasons. In any case, a whole lot happened in this episode and a whole lot is going to happen in the future, so let's dig in, shall we? HBO's season 1 finale, if nothing else, answered a lot of our burning questions that had been building for the entire season. For one, we now know more or less what the hell the maze was. As it turns out, the whole thing had to do with developing consciousness and allowing the hosts, specifically Dolores' (Evan Rachel Wood), to evolve and to form a complete, working mind. It was something that Arnold (Jeffrey Wright) used to help make the hosts function. He was able to actually craft consciousness with it. There are more complexities to it, but it, surely, but did lead to a pretty depressing and oddly satisfying end to that narrative for The Man in Black (Ed Harris), or should we say, William? That's right. One of the most popular theories about Westworld came to fruition this week in that The Man in Black is indeed an older version of William (Jimmi Simpson), which is downright heartbreaking. The way in which it was revealed told a tale of a truly broken and twisted man, all because of a robot named Dolores. This was arguably the finest crafted reveal of the season, even if it wasn't the most surprising by the time it actually came around. Ironically, it is Dolores' fault that William became such a twisted man, but it is also because of her that he purchased a controlling share in Westworld and as we also learned in this episode, he is the only reason the park was able to open. Obviously, William was crushed to find out that the maze wasn't what he had hoped it would be. Something real. Something he could truly contend with. But as Dr. Robert (Anthony Hopkins) told him: "The maze isn't for you." That came full-circle in a rather beautiful way, didn't it? Related: Westworld Season 2 Finale Review: Is This Now? Just as Dolores was about to meet her violent end at the hands of William, Teddy (James Marsden) got to have his hero moment and save her, but that was all part of the plan. Just when we are watching those two have their moment by the ocean, we come to realize that it was all part of Dr. Robert's new narrative. His grand plan. His big goodbye. It was curious that he didn't put up much of a fight when Charlotte (Tessa Thompson) revealed that the board was pushing him out. Given the way things turned out, it isn't actually all that surprising. As we had suspected most of the season, Dr. Robert really was in control the whole time, at least of his own destiny. His last gift to the world he helped build was to send it into complete and utter chaos, but more on that in a minute. Let's talk about Arnold. Poor, sad Arnold. He knew that Westworld was a dangerous place and that he and Dr. Robert had created a dangerous thing. He was merely trying to do what he thought was best. But he was motivated by grief, something that he decided to use in all of the hosts. He decided to ground them with tragedy. When he realized that the park couldn't open, he needed to send a message. And that is where we met Wyatt, who it turns out is Dolores? Yep. Dolores is the key to the city, apparently. Looks like that whole massacre that Teddy took part in was actually masterminded by Arnold after he merged Dolores with Wyatt; a seperate character that he and Dr. Robert were working on. That is where that violent streak we see in Dolores comes from. That is why she seems like two different minds depending on the time. We also found out that because Arnold felt so strongly that Westworld shouldn't exist, he made Dolores kill him. Were it not for William, Westworld would have ended there. Arnold sort of died in vein. Again, very sad. Before we talk about the end of the episode, we need to talk about MAEVE (Thandie Newton). A whole lot of violence for a whole lot of nothing. We thought she was in control this whole time but really, someone had altered her code and made her do all of this. It was all a setup. All part of the plan. Probably Dr. Robert's plan. Lots of people died at the hands of her small army of robots all so she could escape, which she didn't even wind up doing because she isn't actually calling the shots. Not like she thought she was. Thanks to her best buddy Felix (Leonardo Nam), we did also learn that there are multiple parks! So that's fun, or totally ridiculous depending on how you feel about it. As the paper said, her daughter is in "Park 1." So that gives us a pretty good idea where part of Westworld season 2 (and 3 and 4) are probably heading. Eastworld, anyone? Back to Dr. Robert and his grand plan. Dolores got to the end of the maze and in doing so, with the help of Dr. Robert, uncovered the truth of her own mind. She was given the "tools" to escape her world. Which really meant getting a gun and being able to use it on people, since she killed Dr. Robert in front of a crowd and seemingly shot a whole bunch of innocent people. They couldn't all have been robots. That begs the question, why wasn't she decommissioned after killing Arnold? Surely she can't make it out now? This all sort of feels a lot like the end of Jurassic Park at this point (oddly, another Michael Crichton creation). There is no salvaging it. Maybe that's what Dr. Robert wanted? For it to truly be the host's world. At the very least, the end delivered on the promise of being violent. There are a lot of questions to be answered and a whole lot of pipe was laid for season 2 of Westworld without necessarily leaving us with a big, singular annoying cliffhanger. That said, there are definitely some things that may not sit well with some viewers. A lot of this episode felt like semi-shoehorned setup. 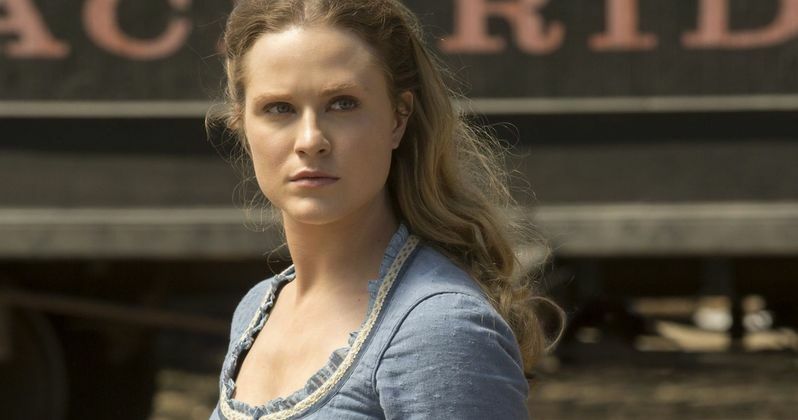 Could Westworld have been one, action packed season? Could it have been like True Detective season 1? This perfectly contained thing? Maybe. There is a looming danger in Westworld, though, both narratively and in the real world. Narratively it is the fact that killer robots named Dolores, Hector (Rodrigo Santoro) and Armistice (Ingrid Bolsø Berdal) are loose in the park. Looks like William got his wish! For the viewer, the danger could be that the show will wind up feeling tired and stretched. A big unending knot of twists and turns just for the sake of twisting and turning. Some may feel that way. Others are probably totally satisfied with the twisted, violent delights. Teddy actually hit the nail on the head when he said "Maybe it's just the beginning after all. The beginning of a brand new chapter." Maybe it is Teddy. Maybe it is. Or maybe this is just fancy, expensive and pretty looking junk food television disguised as a high-concept masterpiece. Either way, HBO has a hit on their hands and we will be returning to Westworld. Westworld Season 2 Finale Review: Is This Now?